The handyman and home services industry is one of the most resilient areas for new business owners. Unlike many other markets, customer spending has already returned to pre-recession levels. Today, the industry is exploding thanks in part to online and mobile booking services that make it easier to find home service providers than ever before. This guide explains the steps to getting started with a handyman or home services franchise of your own. Unlike starting a business from scratch, franchising lets you hit the ground running with a business model and set of processes that have proven themselves effective––shortening the time it takes to reach profitability and beyond. With full on-site training, some of the most successful franchisees have had no prior handyman or home services experience. In short, franchising gives you all the tools you need to set yourself up for success as fast as possible. 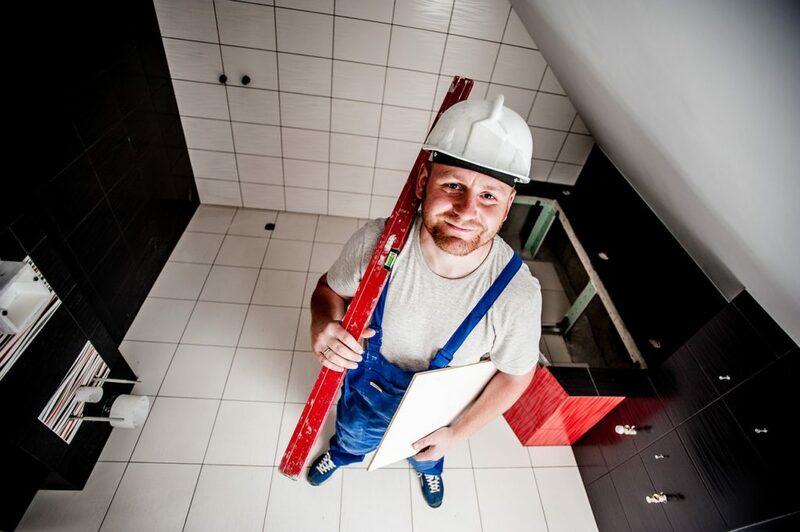 Handyman and home services franchises are great for those who who intend on focusing on running and growing their business while hiring others to deliver services, as well as handymen who are interested in delivering services and having a partner run the business. Let’s briefly discuss the responsibilities of the franchise owner, as well as the tools he or she uses to make good on those responsibilities. For all owners (especially those who plan to be involved in delivering services), it’s important to keep in mind that your primary responsibility is to build the business into a successful operation. Marketing (and movement): These types of franchises are particularly popular because much of the marketing work is done by the sign and logo on the van you’ll use to get to customers. Other forms of marketing typically include placing ads online and in print within local publications and/or managing a social media presence. Scheduling jobs: You’ll learn from your franchisor how much work you or your team should expect to be able to handle each day. You’ll use this information to put jobs on the calendar as they come in. Thankfully, unless you’re in an area where customers are having emergencies, you’ll be able to schedule jobs days or even weeks out. Hiring: As handyman/home services franchises grow, they usually hire a small team to take on more work. Owners typically look for employees that have some experience with the work, or are willing to be trained on it. It’s usually not difficult to find such employees, because the handyman role typically pays as much as these individuals made on their old job, and the work is virtually all indoors in good working conditions. Keeping the books: Bookkeeping is a vital responsibility for the franchise owner or their business partner(s). In addition to measuring and monitoring the financial health of your franchise, good bookkeeping allows you to manage debts, deposits, and anything given on credit through recorded invoices. Thankfully, today’s accounting software automates many small business accounting tasks while making the rest of it far easier and less time-consuming than it was even just a few years ago. Many commonly-used bookkeeping systems such as QuickBooks, FreshBooks, and Xero cost comparatively little, while offering tons of value in time-savings and accounting ability. These systems are designed specifically for small business owners, making them easy to learn and use. When evaluating your options for handyman and home services franchises, it can be difficult to know exactly what you’re looking for. No matter how many questions may be swirling in your head, everything eventually boils down to how effective the franchise system is in giving their franchisees what they need to succeed in the four areas described above. How does the system approach marketing to help franchisees reach new customers? Do franchisees have to spend a lot of time marketing or does a lot of new business come in through seeing you around town and getting referrals from other customers? Do current franchisees have the systems and best practices they need to schedule, hire, and maintain their books regularly? Does the average franchisee reach and grow a profit on their operations in a reasonable amount of time? No matter what sort of franchise you’re looking for, the key to setting yourself up for success is the same: do your research. In addition to talking to the franchisor, make sure to contact a number of actual franchisees to ask questions and get an insider’s look into the business. Overall, are you happy with your franchise and franchisor? How is your experience different from what you expected? How long did it take for you to realize ROI and profit? Approximately how much are you earning? Is it what you expected? How many hours do you spend working in or on your business each week? Did the training your franchisor provided really prepare you to run this business? Are there restrictions on the products you sell and use in your business? If so, were you told of those restrictions beforehand? What do you think of the marketing and advertising? What are the main ways people learn about the business? What kind of support do you receive now? When you have a problem, is your franchisor responsive to your needs? What did it actually cost to start the franchise? Did your franchisor accurately estimate the start-up and operating cash you needed? If you had it to do all over again, would you choose the same business and franchisor? Take the time to consider how much competition there is in your area for a given service. Be sure you’re not making a decision based on how the business landscape looked five or ten years ago. Instead, figure out how many businesses like the franchise you’re considering are already in your area today. Of those, will your business offer something better or unique? This is one area a franchisor can help you understand in detail. Carefully check for any laws and/or regulations that might impact the business. Will you need any special permits or licenses? After you have a particular franchise or short list of franchises to investigate, it’s time to prepare to reach out to learn more about the opportunity. In addition to learning important information, you should also take the opportunity to evaluate the franchisor’s response at every point of contact. Whether by email or by phone, the way a franchisor responds to your initial inquiry is often a strong indicator of how they’ll interact with you if you decide to work with them. Fill out and submit the contact form on the franchisor’s website. In many cases, those interested in a franchising opportunity start by filling out an online form on the website. Some franchisors decide to use these initial contact forms to screen and qualify potential franchisees from the very start. These forms can sometimes pry into your financial and personal information more than you care to share at the outset, including net worth, liquidity, etc. While franchisors need to know this information, we believe that’s best handled during a discussion, which is why we keep our contact form short, simple, easy, and open-ended. Your franchisor should either follow-up by phone or email. Determine if your personal and financial goals match up. In short, will the franchise get you where you want to be? Use the financial information the franchisor gives you to figure out if the franchise will give you a viable opportunity to achieve your goals. Get a sense for the franchisor’s long-term goals. Good franchisors are more interested in the long-term health and growth of their franchisees rather than collecting one-time franchise fees. Make sure you ask both the franchisor as well as current franchisees how this relationship is developed and maintained over time. Read “5 Key Items in the Franchise Disclosure Document Explained” to learn more about reviewing a franchise system’s Franchise Disclosure Document (FDD). Service franchises typically carry comparatively little cost of goods sold and the contribution margins (after paying labor costs) are typically very high. 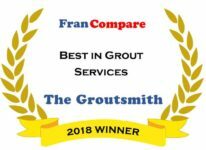 With franchises like The Groutsmith, you don’t even need to set up a separate location for the business, thereby avoiding rent costs. Total investments to get started are typically very low, so the risk/reward can be very appealing. Based on these and other factors, and assuming you do your research carefully, this can be a great business to be in, no matter who you are, what background you come from, or where you want to start your business.